Those who visit Portugal can’t forget the azulejos, those little ceramic tiles that fill our cities with color and light. Azulejos were firstly produced widely across the country as they were a cheap and resilient inner and outer covering, that could protect walls and floors against continued wear, humidity, salt infiltrations and direct sunlight, but they quickly became a national art, going now on 500 years of tradition. Today, you can find them on the inside and outside of buildings, with multi-colored patterns, mostly used in residential buildings, or the stunning blue on white monochrome versions, that covers the facades of churches and line the interior of atriums and cloisters. Azulejos can be plain, texturized, have geometrical or vegetal motives, depict devotions, everyday life scenes, narratives or historical and mythological episode. They change with fashion and personal taste, and they are the extension of Portugal’s rich ceramic art. The azulejos that line the exterior of the twin churches – Igreja dos Carmelitas Descalços (of the Discalced Carmelites) and Igreja de Nossa Senhora do Monte do Carmo (Our Lady of the Carmel Montain), in the Praça Parada Leitão. The azulejos in the Capela das Almas, in Rua Santa Catarina. 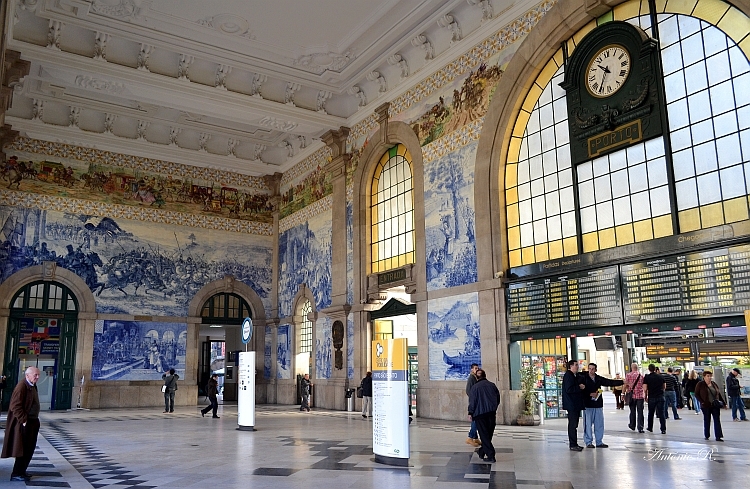 The atrium in the São Bento train station. 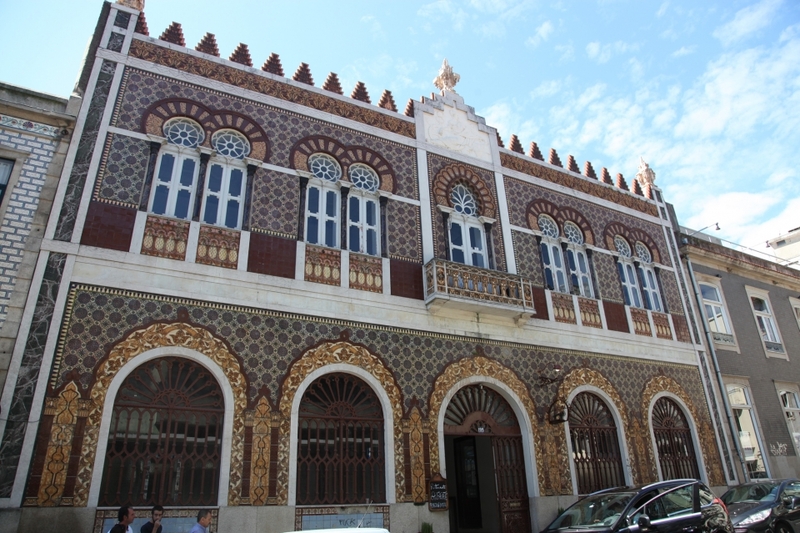 The astonishing neo-arab façade of the Depósito de Materiais da Fábrica de Devesas, (The Devesa’s factory deposit), in Rua José Falcão. 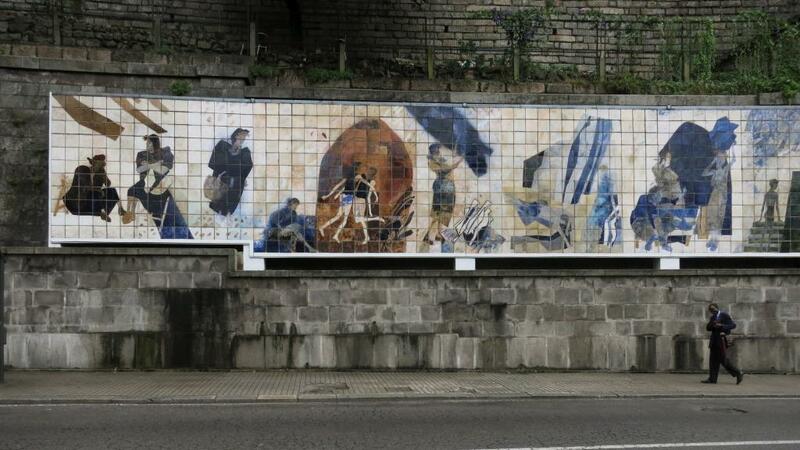 The contemporaneous tile panels “Ribeira Negra” (1987), by Júlio Resende, in Avenida Gustavo Eiffel. From the same author, the azulejos decorating the inside of the Sical coffee-shop (1962-64) in Praça Filipa de Lencastre. 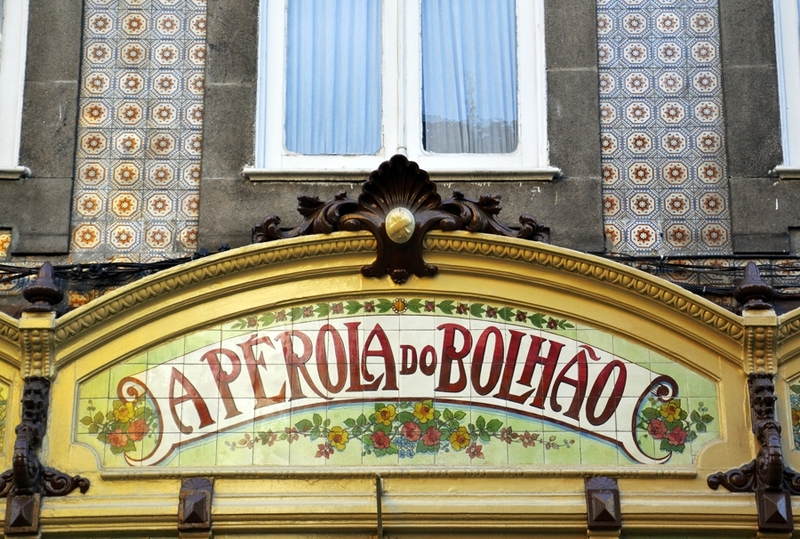 Many shops and establishment have used azulejos to decorate or advertise: check the façade of the Pérola do Bolhão on Rua Formosa, the decorative tiles in the building that used to hold the old stationery shop Araújo e Sobrinho, today the vintage thematic A.S. Hotel 1829, in the Largo de São Domingos, and the Oliva advertising on Av. Afonso Henriques. 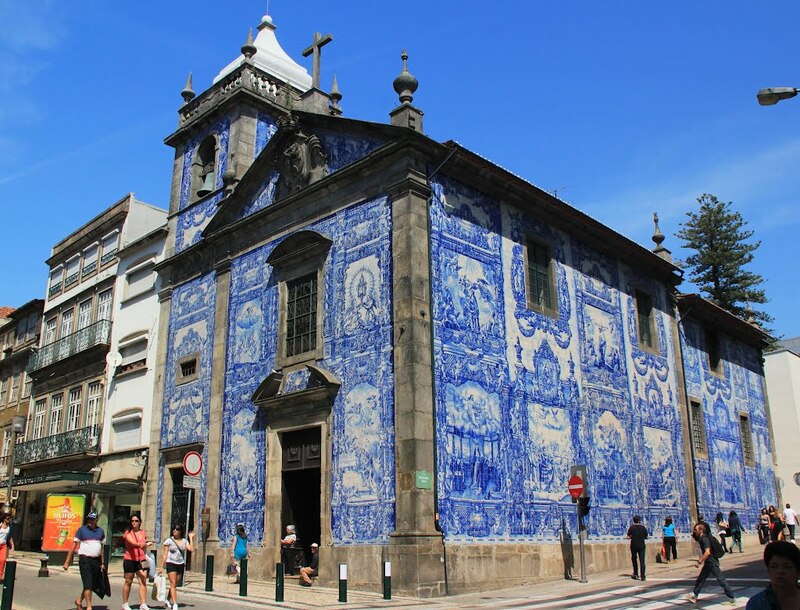 Learn how to help to preserve and promote the azulejo, by visiting the Projeto SOS Azulejo and Banco de Materiais da Camara Municipal do Porto (Municipal historical and archeological safe-deposit) in the Palacete de Balsemão (Balsemao palace), in the Praça Carlos Alberto, Porto.